There are many people who would make wonderful parents who cannot afford the up front costs associated with adoption. You can help. Your contribution will support someone trying to adopt a child or enable us provide assistance to orphans overseas. Your donation can make a huge difference. 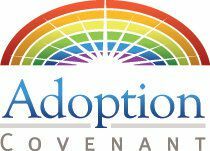 Adoption Covenant does not accept donations from any person with a pending adoption with Adoption Covenant.